This year we are organising the CERCA Conference in conjunction with the São Paulo Research Foundation (FAPESP), with the aim of opening up our research system to possible collaborations with the State of São Paulo, South America’s most dynamic region in the field of research and innovation. 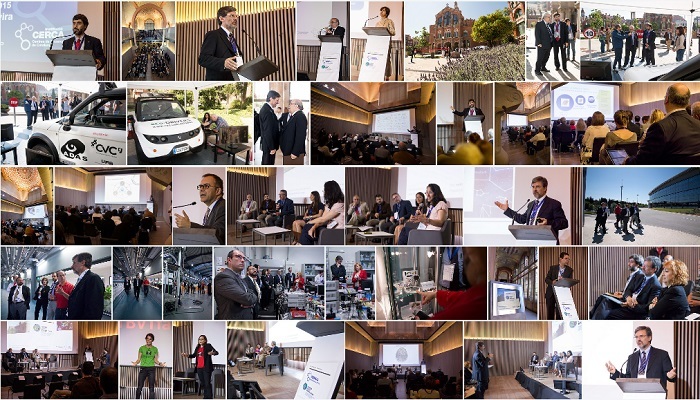 The CERCA Conference is a unique opportunity for the CERCA centre research teams, providing a common forum where they can offer their perspective on the research system in Catalonia and showcase their projects. Vice President of the European Research Council (ERC), Dr Nuria Sebastian, will take part in the opening event on 28 May. The excellent results obtained by the CERCA centre research teams within the ERC grant system make the CERCA Conference the perfect platform for some well-deserved recognition of the work carried out. The second part of the proceedings, FAPESP-WEEK Barcelona, will take place on 29 May, acting as a meeting place for researchers from the major research institutions in Brazil and Catalonia. The programme will open with a lecture entitled ‘Two-dimensional materials: from Graphene to Phospherene and beyond’ by Prof. Antonio H. Castro Neto, Director of the Centre for Advanced 2D Materials and Graphene Research at the National University of Singapore.